Since 1600, the violin family itself has undergone changes in scale length, neck angle, bass bar size and modifications in shape, culminating, around 1700, in the geometry and measurements of the instruments of Antonio Stradivari. All this change was in response to the needs of performers for a larger sound and greater range as concert halls grew in size and composers began writing music that went beyond the range of the early baroque instruments. The first electric violins were made and sold in the mid-1930’s. Stuff Smith, a jazz and blues violinist, was one of the first to own one of the innovative instruments. With the advent of Ragtime in the early part of the 1900’s and big band music of the 1930’s and 40’s, violinists needed an instrument that could be heard in the midst of the horn sections and drums of the larger ensembles popular in that era. As the popularity of big band music grew, so also did jazz in its many forms. Bebop, cool jazz and, later, fusion all required that a violinist have an instrument that would be heard among the other instruments that made up these various ensembles. As genres such as rock, country music and various styles of world music increased in popularity, the size of concert spaces increased, as did the volumes required to perform in them. The electric violin and its technology has changed with the times. The electric violin of today can be used in any performance context requiring amplification. The artist may use any of the sound modification devices that any other electric instrument, such as an electric guitar, uses. 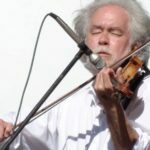 Other sound modifications, such as MIDI (Musical Instrument Digital Interface), give the violinist of today a virtually limitless array of sound possibilities. Independent makers of electric and acoustic instruments have gained in popularity in recent years in answer to the artist desiring an instrument of quality, made to their specifications.